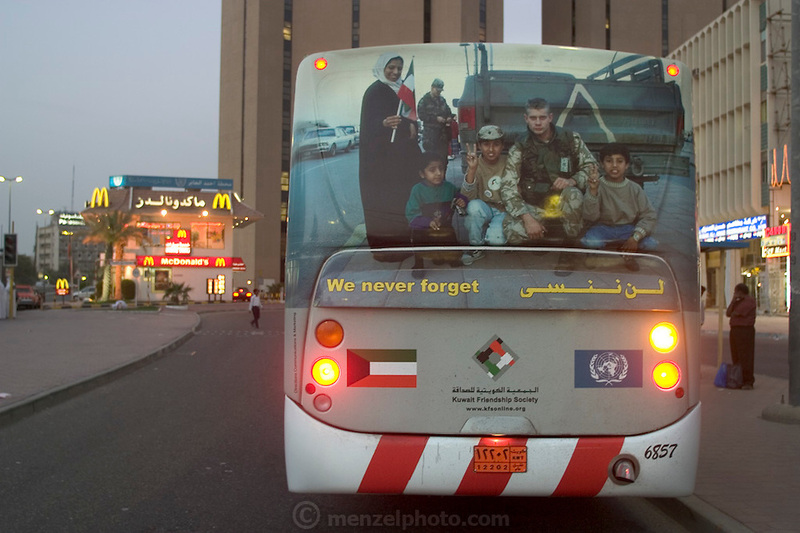 "We never forget," say the signs posted all over Kuwait City, referring to the Iraqi invasion in 1990 and the country's subsequent liberation by a U.S.-led coalition. Just 90 minutes by freeway from the border with impoverished, war-torn Iraq, the affluent Kuwaiti capital is peppered with U.S. fast-food chains and franchised restaurants. Hungry Planet: What the World Eats (p. 198). This image is featured alongside the Al Haggan family images in Hungry Planet: What the World Eats.